Our Cover-Up Die-namics make big impact with a few cranks of the handle of your manual die cutting machine. Pull up a chair and get some creative ideas for using these awesome and versatile dies! Watch the video below or click here (MFT November Release Class - Gradient Vellum Waves) to watch it on YouTube. Don't forget to subscribe to our YouTube channel so that you don't miss a single tutorial! Let's take a look at more examples of clever ways to use our Cover-Up Die-namics! 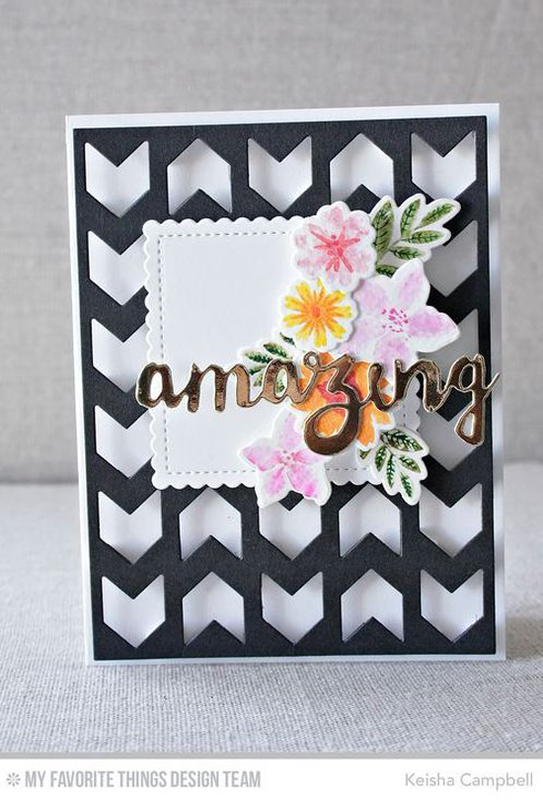 Keisha makes a huge impact with the Chunky Chevron Cover-Up die cutting it in black and popping it up on her card base. It's the perfect way to showcase pretty flowers like our Mini Modern Blooms! 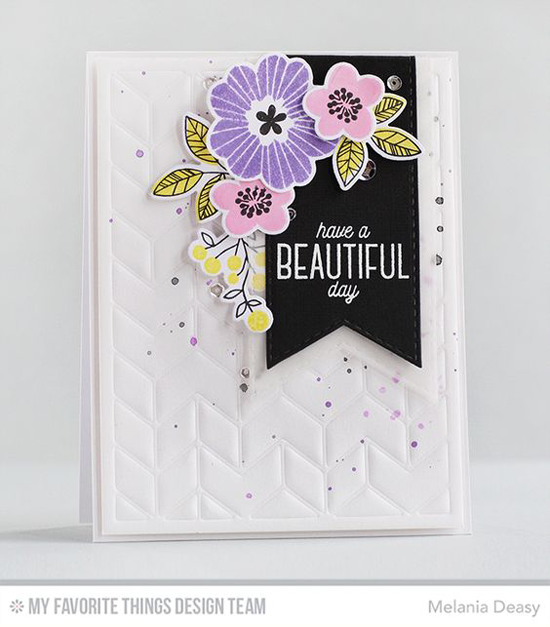 Inge uses the Gift Box Cover-Up to create a super cute shaker card featuring the Flashy Florals stamp set and Thanks & Hello Die-namics. Melania's inventive use of the Split Chevron Cover-Up is sure to inspire! She's embossed rather than cut it for a delightful texture. Those Bold Blooms sure do POP! Check this link HERE to see how to create the perfect sandwich to emboss with our Die-namics. You will LOVE creating with our Cover-Up Die-namics! Be sure to tag #mftstamps when you post your projects online. We can't wait to see what you've made!